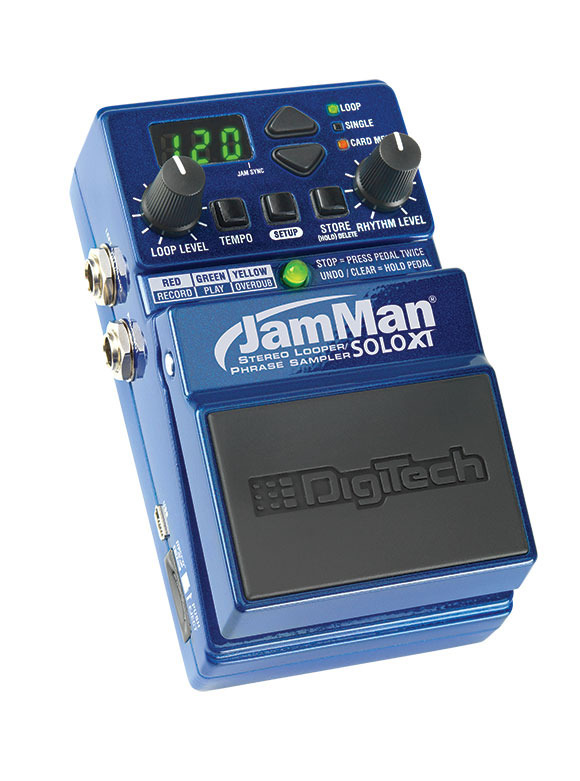 SALT LAKE CITY, Utah – HARMAN’s DigiTech today announced the JamMan Solo XT compact looper pedal will be more affordable than ever being offered at a new street price of $149.95. Since its introduction, the JamMan Solo XT has proven to be an invaluable tool for musicians around the world and quickly became one of the industry’s top choices in looping pedals. The JamMan Solo XT offers users the ability to store over 35 minutes of CD-quality loops in 200 internal memories and also features a micro SDHC card slot that allows players to store an additional 16 hours of audio in 200 loops. For multi-track looping a guitarist can link together multiple JamMan Solo XTs through an innovative pedal-linking capability called JamSync. Also, the pedal’s auto record functionality will pick the timing of the start and stop of a section depending on the music played. Additionally, the JamMan Solo XT looper is built within a rugged metal chassis and features hands-free functionality, time signatures, as well as the ability to slow down or speed up any loop without changing the pitch. Powered by DigiTech’s free JamManager, any player can organize and save loops to a PC or Mac for fast recall at anytime. Effective immediately, the JamMan Solo XT will be offered at a street price of $149.95.